More than three years ago, Hanan Alsedawe’s family story of survival began as a waiting game on both sides of the ocean. But, on Jan. 21, 2019, the wait became a welcome as Hanan and her children stepped foot on Canadian soil. In early 2015, congregations Beth Israel and Beth Tikvah began the long process of sponsoring and reuniting a Syrian refugee family with family who already lived in Vancouver. We worked with the government-approved sponsorship agreement holder – the Anglican Diocese – to prepare and submit our private sponsorship application to the Canadian government. It was a journey requiring perseverance by our coordinating committee, and patience and understanding from the many donors of both synagogues who demonstrated belief in our efforts regardless of the length of time it was taking. On the Jordanian-Saudi Arabian border, in the Azraq Refugee Camp, Hanan and her two children – Mahros and Safa – shared limited resources with more than 55,000 refugees. Their extended family had made their way to Canada under government sponsorship, but Hanan had stayed behind, in Duma, Syria, because her husband, Raslan Abdulmalik, had been taken away by Syrian government forces and she had no idea of what had happened to him. She waited, she hoped, she prayed, but, eventually, with no sign of Raslan being alive, yet with no confirmation that he was either in prison or dead, Hanan decided to escape from Duma. She made her way with her two young children to Amman, Jordan, and eventually was placed in the Azraq refugee camp. There, she waited for a miracle. Sept. 2, 2015, was a watershed moment that captured the hearts of people around the world and galvanized Canada into accepting 25,000 Syrian refugees into the country. Hanan’s mother and five siblings came to our shores under those auspices. But it would take years of work and hope to bring the last of Fayzeh Alsedawe’s daughters, with her children, to join the family here. More than three years after initiating the sponsorship, Beth Israel and Beth Tikvah fulfilled Hanan’s dreams of joining her mother and siblings in Vancouver. 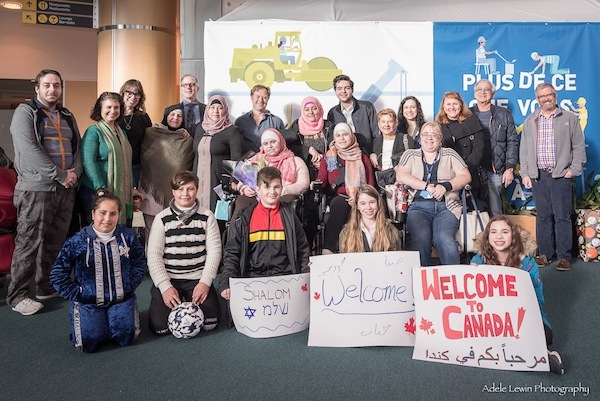 On Jan. 21, representatives of both synagogues were on hand at Vancouver International Airport to welcome their sponsored family. On any given day, at any given time, the international arrivals hall at YVR is a kaleidoscope of colours. On that Monday in January, the full spectrum was visible, augmented by the cacophony of diverse languages and a blending of bodies. Clearly, Canada is at its most multicultural in an airport setting. Also palpable was the range of emotions. There was the full gamut of human feelings on display among those awaiting families, friends and strangers to enter the hall. Contrasts abounded: joy competed with sadness, anticipation with angst, relief with uncertainty. Each person arriving searched for familiar faces, welcoming arms and handwritten signs, indicating that someone was there for them. In this swirl of humanity were representatives of Beth Israel and Beth Tikvah, their dream to sponsor a refugee family from Syria finally reaching fruition. 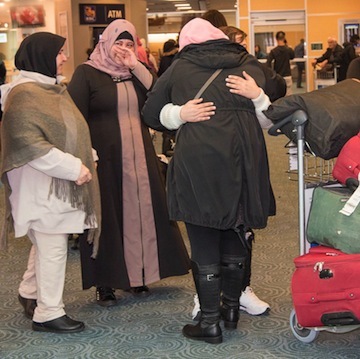 Sharing this moment – indeed, at the centre of this moment – was the local family: the mother, Fayzeh, and her five adult children, Hanadi, Huda, Maha, Hatem and Mohammed, who had arrived in Canada three years ago and had waited anxiously to be reunited with the remainder of their family. There was something so surreal, yet so tangible and in the moment at that airport reunion. Words are inadequate to describe the outpouring of relief and love when Hanan and her children emerged in the arrivals hall. An invisible bubble enclosed the family, as they looked at each other for the first time in more than four years. And then, quickly, the bubble grew, as our delegation surrounded the family with our own contributions of hugs, gifts and welcome. One gift in particular seemed to unite the new family with our Canadian sponsors – a Whitecaps soccer ball given to 13-year-old Mahros. Soccer, a universal language for children and adults alike! Settlement requires patience. Never has the Hebrew word savlanut meant so much to our small committee. Patience was required in the very lengthy process from application to arrival. Patience is required as we work to settle the children in school, the mother in English-as-a-second-language classes and the family into a way of life totally foreign to them. Within weeks of their arrival, the family had visited a family physician, dental appointments were booked, the children were enrolled in public school, bank accounts were set up and, important in this day and age, cellphones and tablets were provided to them. Rosalind Karby is co-chair, with Miranda Burgess, of Beth Israel Congregation’s Committee for the Syrian Refugee Sponsorship Initiative. U.S.-based T’ruah: The Rabbinic Call for Human Rights works in Jewish social justice circles in Israel and North America. “We work with human rights of both Israelis and Palestinians…. We’ve also worked on introducing rabbis and rabbinical students, and also congregations, to what’s happening in West Bank and more,” executive director Rabbi Jill Jacobs told the Independent. T’ruah, which supports a two-state solution, offers the Year-in-Israel program for rabbinical students. 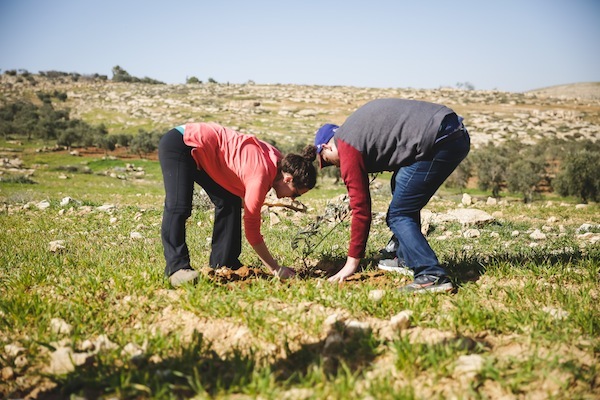 At these sessions, students meet with Israeli human rights and other leaders on the ground. The program is held during students’ free time, separate from their regular studies. Jacobs recognizes that the information they provide is not comprehensive. 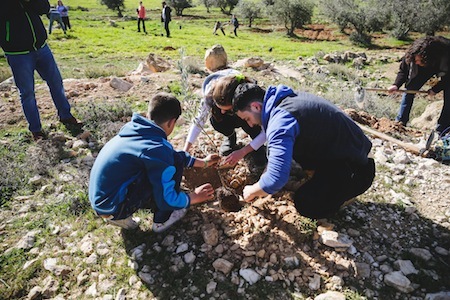 Their focus is to give students the opportunity to interact with human beings – to meet Palestinians, Bedouins and others and learn from them what their life experience is like. “It’s also crucial to us that they are meeting with Israeli human rights leaders,” said Jacobs. “Very often, there’s a dichotomy that suggests that being pro-Israel means supporting the right-wing government of [Binyamin] Netanyahu and that being pro-Palestinian means being against Israel. We’re pro-human rights and we want them to meet Israelis working every single day to push for human rights in their own country because they love their country. We want them to see that there are actually people who are changing the situation. One T’ruah graduate is Rabbi Philip Gibbs, spiritual leader of Congregation Har El in West Vancouver. Gibbs met with Palestinians who had been displaced from the Jerusalem area after the 1967 war. 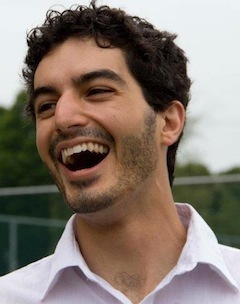 “We had the chance to hear their narrative,” he said, “highlighting how their status as refugees during that conflict had really come into question because of both the policies of Jordan, as they were occupying the area, as well as some of the motivations of different settler organizations in their attempt to create a much stronger Jewish presence behind the Green Line… I felt like that was more educating us in understanding the way that the nature of a lot of these neighbourhoods had been going back and forth. Gibbs has not yet had an opportunity to bring this part of his rabbinical education to his congregation directly, but it has definitely played a role in how he shares his perspective regarding, for example, the upcoming Israeli election. Regarding the many Israelis he has met who work for human rights organizations, Gibbs said he appreciated the way their main motivation was a deep sense of trying to make their country the best it can be, noting that every government needs to be transparent in their treatment of their citizens, allowing for a certain amount of criticism. The Dreamers and Builders gala event May 5 provides Temple Sholom the opportunity to present its third annual Tikkun Olam Awards. The awards are the dream child of Rabbi Dan Moskovitz, and are funded by Michelle and Neil Pollock. 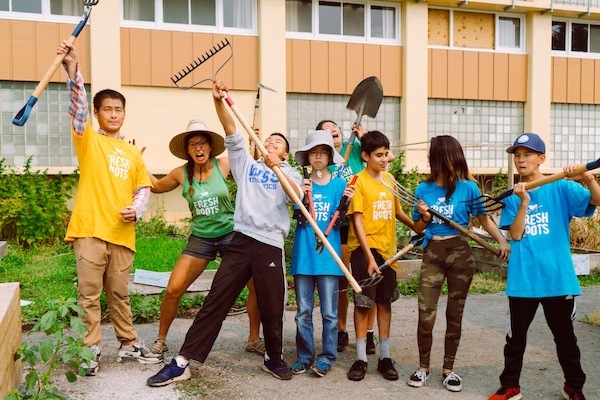 In addition to highlighting exemplary dreamers and builders like honourees Susan Mendelson and Jack Lutsky, this year’s gala will recognize two among the many amazing teens in the community. These youth see the needs in the world and work hard to address those needs, with creativity and compassion. 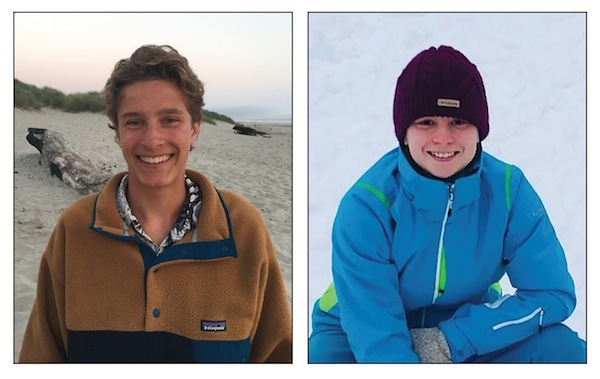 The application process for the 2019 Tikkun Olam Awards produced eight applicants and two co-winners: Sam Albert and Liana Gerber. Sam, 17, is in Grade 11 and already recognizes the power of the pen – he plans to study journalism. His parents, Jennifer Tater and David Albert, have encouraged his devotion to community involvement. He is the youngest of three and has two older sisters. His interest is protecting the planet and preventing climate change. He is involved in many local organizations and has spent a lot of his spare time working to clean Metro Vancouver’s beaches. He is so well-known in the world community that he has been invited to attend a climate change conference in Bonn, Germany, this summer. Liana, also 17, is a Grade 12 student. The daughter of Michelle and Martin Gerber, Liana has a twin and a younger sister. Next year, Liana plans to start studying interior design and also hopes to become a paramedic one day. For several years, on a volunteer basis, she has baked for the kids who enter Ronald McDonald House. In the process of doing this, she has spoken with and persuaded the manager of her local grocery store to provide reduced prices for the grocery items required. She also has fundraised to ensure that meals are provided for families when they enter the home, so that they may focus on the needs of their child and not worry about feeding themselves. While traveling in the United States, Liana found a Ronald McDonald House and baked for the residents there. 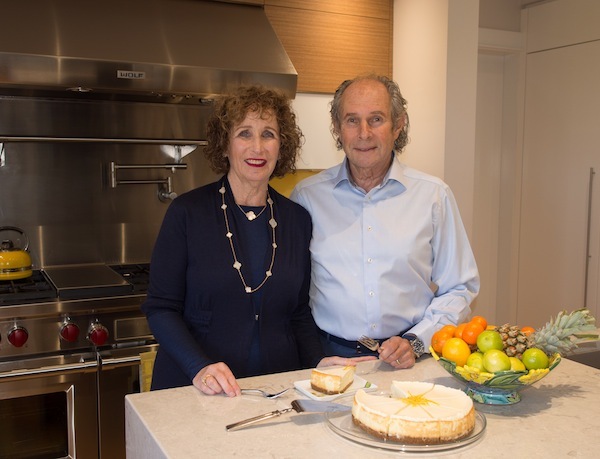 How basherte it is that Liana is a co-winner the year that Temple Sholom recognizes Mendelson, a founder of the Lazy Gourmet catering company, among other accomplishments, for all of her work and devotion to tikkun olam. Temple Sholom is proud and honoured to recognize excellence among its teens. On June 7, at the Shabbat evening service at the synagogue, all of the Tikkun Olam Award candidates will be acknowledged and celebrated with a special presentation. The entire community is invited to participate. For more information about and tickets to the Dreamers and Builders gala, which is almost sold out, visit templesholom.ca/dreamers-and-builders. 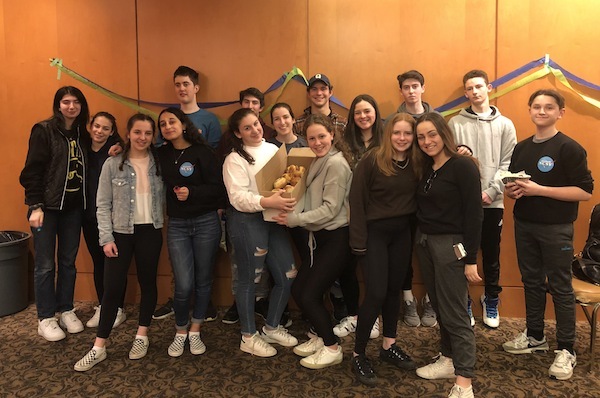 On March 17, teens from three local organizations – CTeens (Chabad Teens), NCSY (National Conference of Synagogue Youth) and BBYO (B’nai B’rith Youth Organization) – joined together for a mitzvah. Around 30 teens from Richmond and Vancouver gathered for the Not Your Bubbies’ Babka Bake at Congregation Schara Tzedek, where they learned how to braid challah and make chocolate babka. This wasn’t an ordinary get-together, it was a mitzvah event, timed to help celebrate Purim. The challot went to seniors in the Light of Shabbat Program, and the teens took the babkas home. The Light of Shabbat Program is run by Chabad Richmond, in partnership with the Kehila Society. Every other week, a group of volunteers makes and delivers full kosher meals, along with Shabbat candles and grape juice, to Richmond seniors who are alone on Friday nights. To find out more about the program, visit chabadrichmond.com/lightofshabbat. Part of the meal is homemade challah, which was made by these teens as part of the mishloach manot (also referred to as shalach manot), or Purim food baskets, given on the holiday. It’s a mitzvah and tradition for adults to send a gift basket of ready-to-eat foods to at least one friend during the day of Purim. The baskets should include at least two foods, often hamantashen, chocolate, fruit, cookies or candy. The source of mishloach manot is the Megillah, or Book of Esther, which talks about “sending portions one to another, and gifts to the poor.” The idea of sending gifts of food on Purim is to strengthen our bonds of friendship with fellow Jews, as one theme of Purim is friendship and unity. A CTeen for two years, Aiden wanted to feel more connected to the Jewish community, so he started going to shul at Chabad Richmond. Then he met Rabbi Chalom Loeub, who leads the CTeen program. Among other things, the CTeens get together every Sunday to bake cookies and cakes for seniors. Aiden also mentioned going to the CTeen International Shabbaton in New York, which he said was “incredible.” He’s now trying to get other Jewish teens involved in CTeen, too. Jillian Marks, 17, was another participant in the challah and babka bake. She came to the event through her involvement with BBYO. As a youth leader for the Vancouver chapter, she wants to create “a pluralistic environment for everyone who wants to meet other Jews and feel safe and be whoever they want to be.” BBYO holds different events, all of which have some Jewish element to them. For this particular event, BBYO joined with CTeens and NCSY to “work together, not compete. You can be in all of the groups, not just in one of them,” said Marks. All the teens echoed the same sentiments – that making challah for seniors is a mitzvah and that it feels good to volunteer. It’s a nice perk, they said, that they also get to meet other Jewish teens, adding that they would “get the word out” to their friends. Members of the NCSY chapter also make and deliver food to people in Oppenheimer Park. “It’s a great opportunity to help out in the community and it’s very rewarding,” said the teen. Fashion is one of my many passions, as regular readers of the Jewish Independent will know by now. So, when I turned 50 this year, a milestone birthday, I decided to pursue a longtime dream – to create a fashion tract for bone marrow transplant survivors. When I was 17 years old, I was diagnosed with Hodgkin’s lymphoma. At the time, I was in Grade 12, studying in Israel. My parents’ first reaction was for me to return to Vancouver, where they felt I should start my treatments. There was no time to waste, as it was at an aggressive stage. However, after much persuasion, I convinced my parents that I should stay in Israel. As part of the deal I made with them, I was to head back to Vancouver upon graduation and resume the next cycle of treatments. I started chemotherapy. I had the most loving care from the staff at Tel Hashomer Hospital. I was on the road to recovery when I returned home. After a few more bouts with chemo and some courses in radiation, however, we were given the devastating news that I had to undergo an autologous bone marrow transplant. The procedure had to start immediately. I lost the little hair I had left in just one day, couldn’t hold down any food or drink, and was separated from any ounce of humanity because I had no immunity. But I was getting better, thanks to the staff and doctors at the British Columbia Cancer Agency. During the horrifying three-month stay in my isolated hospital room I was, paradoxically, injected with the poisonous chemo cocktail expected to cure me and the benevolent rays of light and love of my family. The support made me stronger and gave me courage. I had so much to look forward to. My two older sisters had countless discussions on having children for me if I couldn’t conceive, my father tried to grant me not just one star but the whole galaxy, my mother never left my side and my then-boyfriend-now-husband showered me with tenderness. The love in my room spread throughout the ward. Through the tears, we remembered to laugh and dream. When it was time to go home, I was nervous about leaving my protected environment but full of excitement to start my new life. All I wanted was to feel and look healthy again. I bade farewell to my dull uniform of pajamas and welcomed my new outfit, especially chosen for me. On the door, it was waiting for me, as if knowing how I was craving to look like a girl again. I fondly remember stepping out in my blue leather mini skirt, black cashmere sweater and black knee-high boots, handpicked with care by my mom, a true fashionista. I looked fabulous and felt euphoric on the 10-minute ride home, the only place I was headed for the time being. Fast forward some 30 years, and I am the mother of two miraculous children, Daniel and Natalie, who bring me the greatest happiness and naches, spoken like a true Yiddishe Mame. I am grateful every day for my blessed life. There have been bumps along my journey, of course. I have often wondered if other women had the transformational experience I did leaving the ward. I knew the day would come for me to help other survivors in my own way. Splitting my time between Israel and Canada, I chose to initiate a fashion project in Israel. 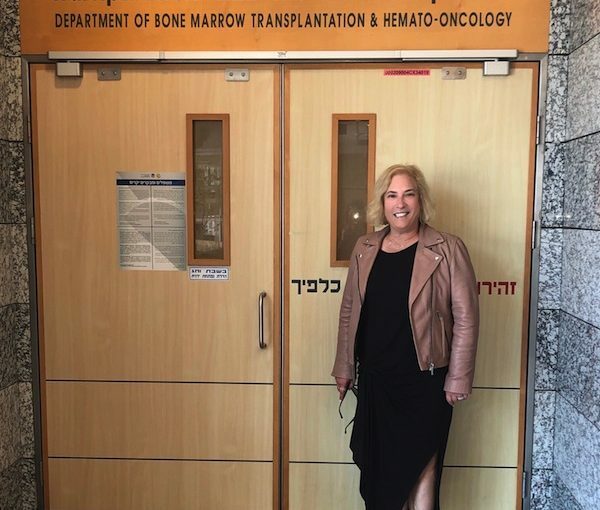 I reached out to the head of the bone marrow transplant unit in Ichilov Hospital (Tel Aviv Sourasky Medical Centre) and, to my astonishment, within minutes was told they were on board. My dream was becoming a reality. My mission is to offer patients, upon their release, an outfit of their wishes to raise their spirit, as my mother’s fashion choices had raised mine. I wrote letters to as many clothing stores as I could, looking to find sponsors, hoping they would donate new outfits to recipients. I received a few replies saying nice idea, good luck; some never replied. But some did reply with open hearts, willing to contribute to the project. Getting started has been challenging, one step forward and a few back. Frustrating as it is, I understand that it will take time but, among the obstacles, I will not give up. As the writer Paulo Coelho said, “When you want something, all the universe conspires in helping you achieve it.” I have named my project Lalas Wings. Lala is a nickname, dubbed by my niece and nephew 35 years ago. I was taught to dream big by my mentor, my father, Karl Stein. Hopefully, by sharing my dream, I can make a significant contribution to many bone marrow transplant patients, starting in Israel and eventually reaching hospitals in more and more places. My experience leads me to believe that the seemingly externally focused gift of clothing is part of a perfect beginning to the complex healing process. If anyone has any questions about Lalas Wings, I can be reached by email at [email protected]. Although the Srebrenica genocide – the killing of more than 8,000 Bosnian Muslims by Bosnian Serb forces in July 1995 – occurred more than 20 years ago, it still affects the people of Bosnia and Herzegovina every day, according to Dr. Laura Beth Cohen, director, Kupferberg Holocaust Centre, Queensborough Community College, City University of New York. Cohen was in Winnipeg on March 8 to speak as part of the Mauro Centre for Peace and Justice: Brown Bag Lecture series. She spoke on the topic Conflicted Walls: Untangling Transitional Justice and Traumatic Memories at Bosnia’s Memorial. But, the legacy of the last war, which lasted from 1992 to 1995, is still very much present. In fact, she said, the current government is debating about it. When Cohen was in Srebrenica, she was taken by how much the memory of the genocide affects the surviving population, how much it is fought over. The country and government are split into two ethnic entities that are a result of the Dayton Accord, which was signed after the massacre in Srebrenica. One side was deemed the perpetrator; the other, the victim. This, of course, makes it very difficult for the residents of Srebrenica and the region to move forward, she said. According to Cohen, the constant and continued fight over the politics and memory of what happened at Srebrenica does not allow people to learn about what happened or why, and that this is preventing coping mechanisms from being put into place; mechanisms that could help stop other massacres from happening. “We only focus internationally once a year – on July 11, during the annual commemoration of the Srebrenica genocide that takes place at the memorial – so we often don’t understand what’s taking place there the other 364 days of the year,” said Cohen. “People visit the 9/11 memorial in downtown Manhattan. They visit Auschwitz-Birkenau in Poland. They visit Kigali Genocide Memorial [in Rwanda]. These memorials serve as an educational component. For local residents and national citizens of these countries, they also serve as places of memory making,” she said. In Srebrenica, Cohen hopes to eventually see ways of involving the local community in dialogue initiatives that facilitate the creation of memorials, ones that speak to the locals, helping them repair their communities. 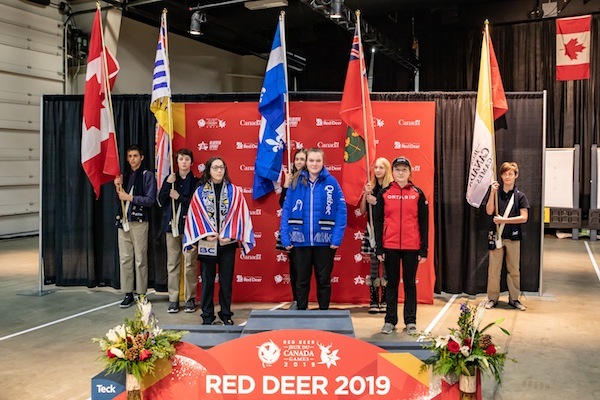 From Feb. 15 to March 3, Red Deer and central Alberta hosted the 2019 Canada Winter Games. Among those taking home a medal was Adi Shapira. Shapira, 16, is part of the SPARTS program at Magee Secondary School, which is open to students competing in high-performance athletics at the provincial, national or international level, as well as students in the arts who are performing at a high level of excellence. 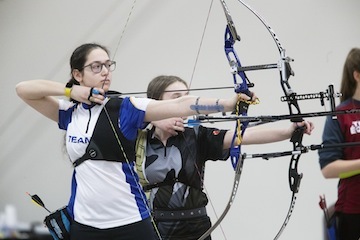 Last November, she won the qualifying tournaments against other female archers ages 15 to 20 to represent the province of British Columbia in the February national games. 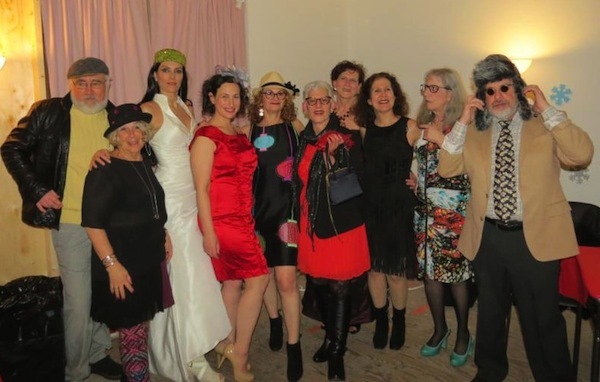 Stylin’ Or Shalom on Feb. 20 was not just a beautiful evening: the event raised $1,600 for Battered Women’s Support Services so that they can continue their important work. Models for the fashion-show fundraiser were Ross Andelman, Avi Dolgin, Val Dolgin, Carol Ann Fried, Michal Fox, Dalia Margalit-Faircloth, Helen Mintz, Ana Peralta, Avril Orloff and Leora Zalik. About 50 people attended and, between cash donations and purchases from the My Sister’s Closet eco-thrift store, this year’s show raised about $600 more than did the inaugural Stylin’ Or Shalom event held in 2017. In addition, many people brought clothing donations, which will be sold at the store, generating further funds for the organization. The Association for Canadian Jewish Studies has announced that Dr. Norma Baumel Joseph is the 2019 recipient of the Louis Rosenberg Canadian Jewish Studies Distinguished Service Award. Joseph brings together the highest standards of scholarship, creative and effective dissemination of research, and activism in a manner without rival in the field of Canadian Jewish studies, as well as being a respected voice in Jewish feminist studies more broadly. Joseph’s scholarship is remarkable for her mastery of both traditional rabbinic sources and anthropological methods. 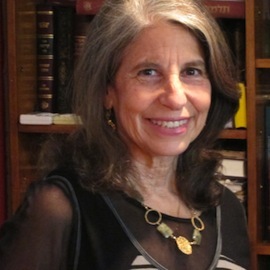 Her work on the responsa of Rabbi Moses Feinstein, including an award-winning article published in American Jewish History 83,2 (1995), is based on a close reading of some of the most technical and difficult halachic texts. Her mastery of these sources is also apparent in articles on women and prayer, the mechitzah, and the bat mitzvah. She has used her knowledge of halachah in her academic work on Jewish divorce in Canada, including an article in Studies in Religion (2011) and is a collaborator in a recently awarded grant project, Troubling Orthopraxies: A Study of Jewish Divorce in Canada. As a trained anthropologist and as a feminist, she realizes that food is also a text and she has made important contributions to both the history of Iraqi Jews in Canada and to our understanding of the history of food in the Jewish community. Her Social Sciences and Humanities Research Council of Canada (SSHRC)-funded research has resulted in recent essays such as “From Baghdad to Montreal: Food, Gender and Identity.” Her ongoing reflections on Jewish women in Canada, first appearing as early as 1981 in the volume Canadian Jewish Mosaic, are foundational texts in the study of Jewish women in Canada. Joseph has chosen to disseminate her research and wisdom in a variety of ways. Her undergraduate and graduate students at Concordia praise her innovative student-centred teaching. 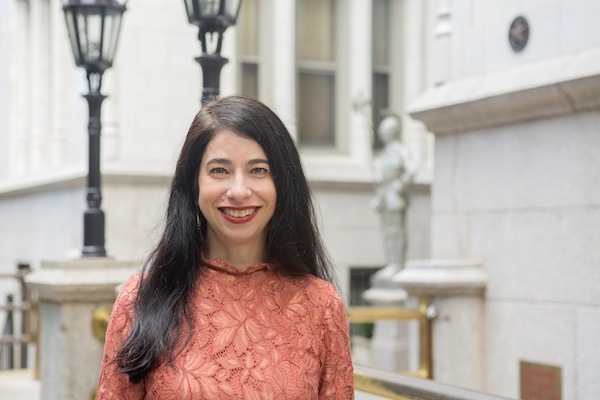 Recently, she instituted a for-credit internship at the Alex Dworkin Canadian Jewish archives, which has been beneficial to both the student and the archive. She is in demand as a lecturer in both professional and lay settings. Her work in film has reached a wide audience. In Half the Kingdom, a 1989 NFB documentary on Jewish women and Judaism, she explores with sensitivity the challenges – and rewards – of being both a feminist and an Orthodox Jew. She served as consultant to the film, and was a co-author of the accompanying guidebook. Since 2002, Joseph has also committed herself to public education by taking on the task of writing a regular column on Jewish life for the Canadian Jewish News. Her views are based on a deep understanding of Judaism and contemporary Jewish life and are worthy of anthologizing. Joseph is a founding member of the Canadian Coalition of Jewish Women for the Get and worked for the creation of a Canadian law to aid and protect agunot. As part of her Women for the Get work, she participated in the educational film Untying the Bonds: Jewish Divorce, produced by the Coalition of Jewish Women for the Get in 1997. She has also worked on the issue of agunot, as well as advocated for the creation of a prayer space for women at the Western Wall among international Jewish organizations. Joseph helped in the founding of the Institute for Canadian Jewish Studies at Concordia, and convened the institute from 1994 to 1997, when a chair was hired. She was also a founder and co-director of Concordia University’s Azrieli Institute for Israel Studies. 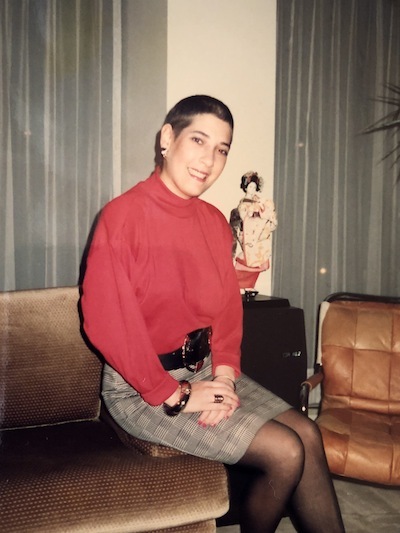 In 1998, she was appointed chair of the Canadian Jewish Congress National Archives Committee, and has remained in the position since then, under the new designation of chair of the advisory committee for the Alex Dworkin Canadian Jewish Archives (CJA). In this capacity, Joseph has been a forceful and effective advocate for protecting and promoting the preservation of Canadian Jewish archival material and for appreciating the professionalism of the staff. She has lent her time and experience to multiple meetings and interventions at various crucial junctures in the recent history of the CJA, during which she has balanced and countered arguments that would have led to the dissolution or extreme diminishing of the archives as we know it. Her work on behalf of the archives has drawn her into diverse committees and consultations. Notably, she contributed her expertise to the chairing of a sub-committee convened by Parks Canada when their Commemorative Places section was in search of Canadian Jewish women-related content. Her suggestions made during the 2005 meetings have resulted in several site designations over the course of the past 12 years. Joseph has had a unique role in Canadian Jewish studies and Canadian Jewish life, and is richly deserving of the Louis Rosenberg Award. In February, Janie Respitz of Montreal won the prize for best interpretation of an existing Yiddish song at the final Der Idisher Idol contest in Mexico City. She performed “Kotsk,” a song about a small town in Poland, which was the seat of the Kotsker rebbe, the founder of a Chassidic dynasty in the 18th century. The win included $500 US. Respitz holds a master’s degree in Yiddish language and literature and, for the past 25 years, has performed concerts around the world. She has lectured and taught the subject, including at Queen’s University and McGill University, and is on the faculty of KlezKanada, the annual retreat in the Laurentians. 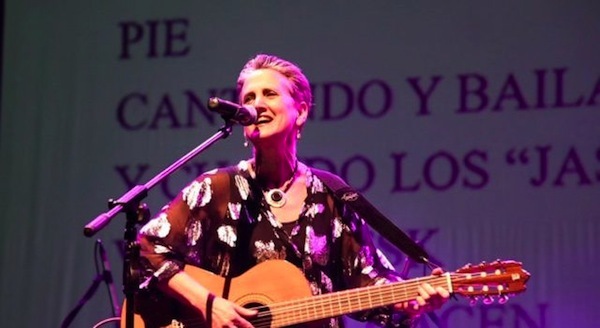 Respitz was among nine finalists, both local and foreign, who were invited to perform at Mexico City’s 600-seat Teatro del Parque Interlomas before a panel of judges and a live audience. The competition is in its fourth edition, but Respitz only heard about it last year. She submitted a video of her performing “Kotsk” in September and received word in December that she was in the running. A Yiddish song contest in Mexico City may seem odd, but the city has a large Jewish community, many with roots in eastern Europe, much like Montreal. The winner for best original song was Louisa Lyne of Malmo, Sweden, who’s also a well-established performer of Yiddish works. On March 14, at the New School in New York, the National Book Critics Circle (NBCC) announced the recipients of its book awards for publishing year 2018. 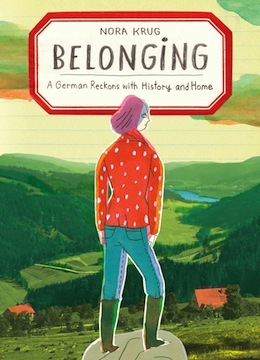 The winners include Nora Krug, who was given the prize in autobiography for Belonging: A German Reckons With History and Home (Scribner). 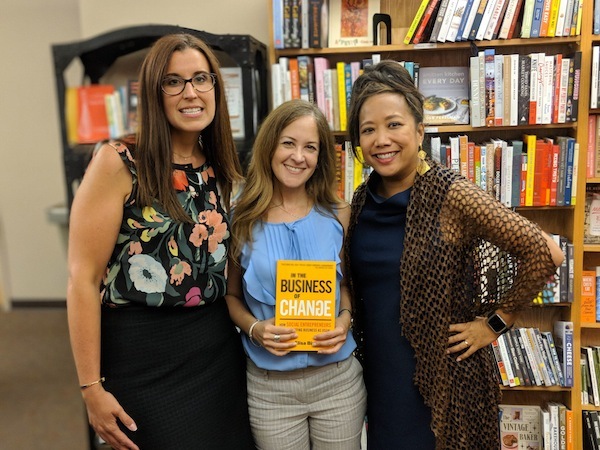 “Krug creates a stunningly effective, often moving portrait of Krug’s memories and her exploration of the people who came before her,” said NBCC president Kate Tuttle. Krug’s drawings and visual narratives have appeared in the New York Times, Guardian and Le Monde diplomatique. Her short-form graphic biography Kamikaze, about a surviving Japanese Second World War pilot, was included in the 2012 editions of Best American Comics and Best American Nonrequired Reading. She is the recipient of fellowships from the Maurice Sendak Foundation, Fulbright, the John Simon Guggenheim Memorial Foundation, the Pollock-Krasner Foundation, and of medals from the Society of Illustrators and the New York Art Directors Club. She is an associate professor at Parsons School of Design in New York and lives in Brooklyn with her family. The National Book Critics Circle was founded in 1974 at New York’s legendary Algonquin Hotel by a group of the most influential critics of the day. It currently comprises 750 working critics and book-review editors throughout the United States. For more information about the awards and NBCC, visit bookcritics.org.